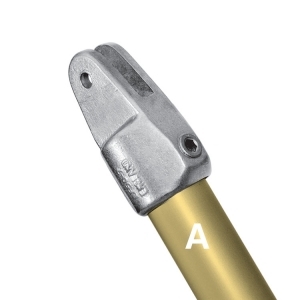 The female part of a swivel component combination. LF50-6 0.37 lbs. 6 1.97 in. 1.65 in. 2.95 in. 2.09 in. LF50-7 0.55 lbs. 7 2.32 in. 2.09 in. 3.54 in. 2.32 in. LF50-8 0.64 lbs. 8 2.56 in. 2.36 in. 3.54 in. 2.64 in.